Get informations about Automotive and more in this website. This may come up as a surprise to some of you, but Lamborghini never participated in any major motorsports competitions. According to the will of Feruccio Lamborghini, his company stayed away from racing, because the famous Italian engineer always believed the motorsports to be a big waste of time and resources. One thing Lamborgini was always known for is its top-notch design. Some of the best professionals in the industry, including Franco Scaglione, Touring, Zagato, Mario Marazzi, Bertone, ItalDesign and Marcello Gandini, worked on its visual design. People usually think of luxury and high-performance grand tourers, whenever someone mentions the name, Lamborghini. Nevertheless, the Italian automaker has created a few unusual models. Feruccio Lamborghini had extensive experience in producing tractors, so it seemed natural for him to try his hand at designing an automobile with high off-road capabilities. Lamborghini LM002 was the first SUV, built by the Italian vehicle manufacturer. Combining speed and luxuriousness with exceptional off-road capabilities, Lamborghini LM002 was in many respects far ahead of its time. When it comes to comfort and ability to cross the difficult terrain, only Land Rover could compete with LM002. Unfortunately, the automobile market was not quite ready for the new luxury SUV. 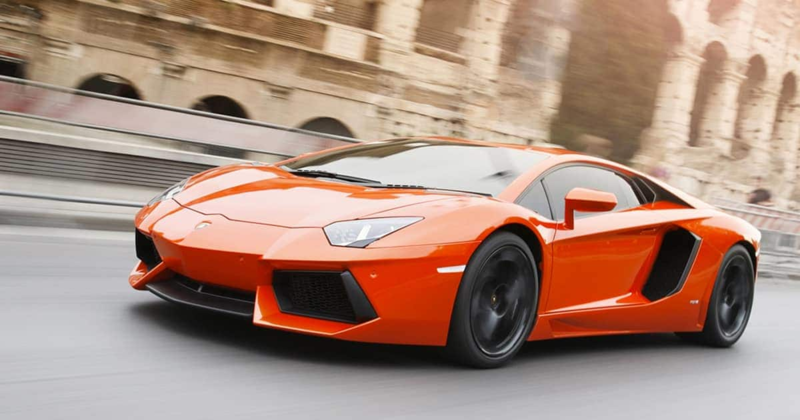 Therefore, despite the orders from armed forces of Saudi Arabia and Libya, Lamborghini sold only 301 vehicles. Car Parts is the most important for Lamborghini. The Italian automaker launched its first production model in 1963. With the top speed of 280 km / h, Lamborghini 350GTV was a leader among production cars of its time. The Italian company uses a very distinctive naming convention for its car models. Feruccio Lamborghini was quite a fan of the Spanish bullfight. In 1963, he visited the cattle-bred farm Miura in Seville. It was owned by Don Eduardo Miura Fernandez, one of the most famous breeders of fighting bulls in Spain. This visit had a strong influence on the Italian industrialist. In fact, he was so impressed by the traditional art of bullfighting, that he made a decision to name all his new sports cars after famous fighting bulls. Traditionally in Spanish bullfight, bulls that manage to defeat a matador are given life, and their names are forever inscribed in the history of the sport. Ferruccio Lamborghini was convinced, that the name of a fighting bull will emphasize the untamed nature of sports cars created under Lamborghini marque. By the way, Ferruccio Lamborghini himself was also a bull in a sense, since his zodiac sign was Taurus. (He was born on April 28, 1916). The first model to be introduced to the world under the “bullish” name was Lamborghini Miura. The sports car debuted at the Geneva Motor Show in 1966. The public warmly received it; however, spectators were somewhat confused, since they were not allowed to open the hood. This was not a coincidence: there was simply no engine under it! Since the engine was still being designed, the prototype was sent to the Geneva Motor Show with ballast instead of an engine under the hood. Eventually, Miura proved to be a very good car. Lamborghini Countach was produced by the Italian company for 16 years (from 1974 to 1990). Notably, this sports car is one of the few Lamborghini models, with a name that has nothing to do with bulls and bullfighting. The word “countach” comes from the Piedmontese language, spoken in a region of Piedmont in North-West of Italy. It is an expression of excitement or astonishment and can be translated as “Heavens!” According to the legend, Nuccio Bertone himself made such an exclamation when he saw the first sketches of the future supercar. Please visit www.AutoVillage.co.uk for detail.